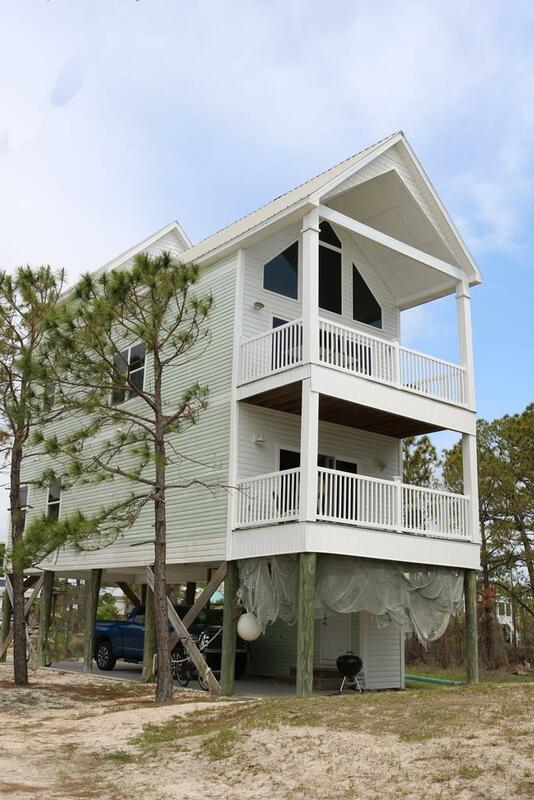 1ST TIER HOUSE on Cape San Blas. High vaulted ceiling makes this space feel open and breeze. Master bedroom and bath and guest bedroom on bath on the first level. Open floor plan with living room opening on the porch and large kitchen and laundry. Upstairs there is a large loft that could be made into another bedroom or recreation room or even an office.